President Ibrahim Mohamed Solih has announced that starting today, all mothers will be granted 6 months paid maternity leave, and 1 month paid paternity leave for fathers. The President made this announcement in his speech delivered at the function held to mark this year’s International Women’s Day. The function was held in Maafushi Island of Malé Atoll. In his speech, the President reminded that ensuring women empowerment and facilitating women to reach their true potential is a responsibility that falls on each member of the society. He stated that empowering women will lead to the empowerment of the whole community, and that increasing women’s participation in the sustainable development process of the country is an important policy of his administration. 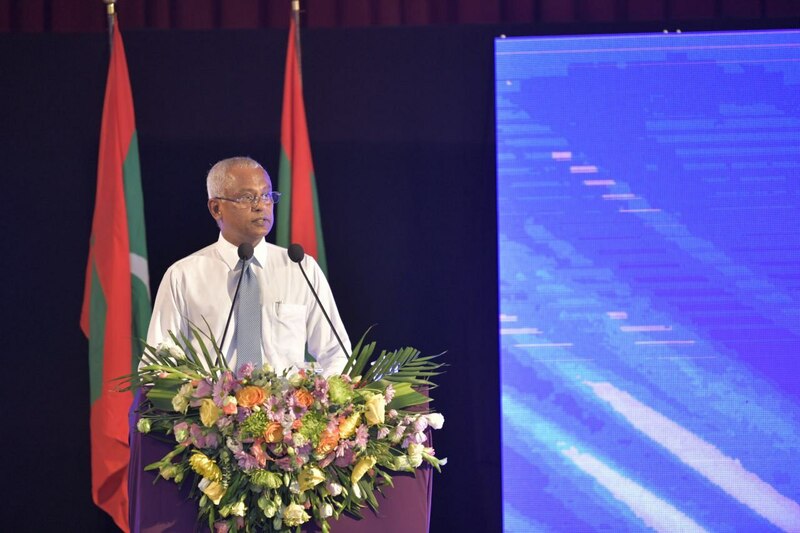 President Solih also highlighted the administration’s decision to allocate 20% of loans under the government’s SME loan scheme especially for women, youth and people with disabilities, in an effort to include the previously marginalised portions of the society in the country’s economic activity. 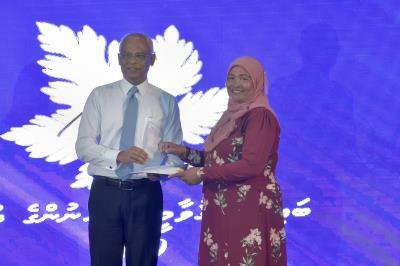 At today’s function, President Solih presented the Rehendi Award to this year’s recipients, while the First Lady presented the Rehendi Award brooch. Rehendi Award is conferred annually, in recognition of the outstanding services to national development and society by women. Prior to the International Women’s Day function, President Solih unveiled the women’s day monument in Maafushi Island.